Gust’s Atelier series first began back in 1997 and over the years numerous games of various types have been released for the series even if it took a few being exclusive to Japan before they started making their way West. Over the years many of these games feature a similar formula and only have a little bit in the way of crossover with other entries in the series outside of guest appearances. 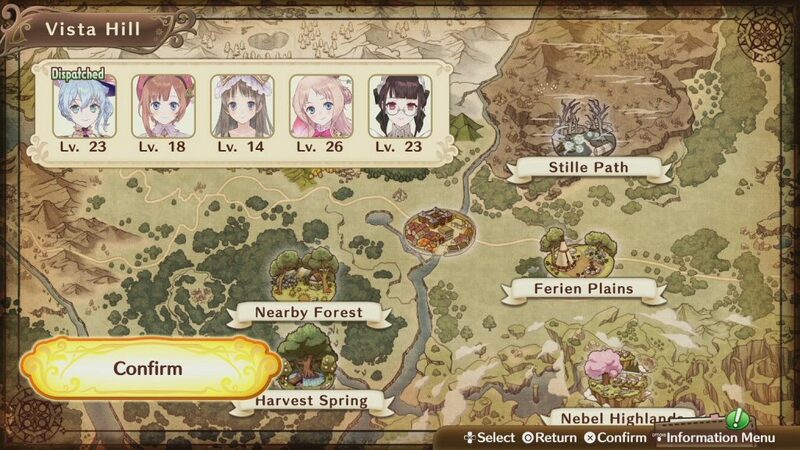 This time around Gust is trying something a bit new with the spin-off Nelke & the Legendary Alchemists: Ateliers of the New World. Featuring a different gameplay focus as well as characters from the series’ long history is this one fans will enjoy? After graduating at the top of her class Nelke von Lestamm, along with her maid Misty, have traveled to the village of Westwald to pursue her dream of discovering a powerful plant known as the Granzweit Tree that will grant it’s finder great powers. Nelke has always loved alchemy but unlike other game’s in the franchise, she has absolutely no talent so no matter how intelligent she might be, becoming a famous alchemist never happened to be in the cards for her. Despite this setback Nelke poured her heart into learning about economics, town management, and more in an effort to become a great aristocrat. Since rumors have pointed towards the tree being near Westwald, Nelke offered to take control over the tiny village from her father, promising to turn it into a thriving city. With both her father’s expectations, the lives of her citizens, and her dreams on the line Nelke has a lot of challenge awaiting her but it isn’t long before numerous familiar faces appear and end up being more than willing to help since Nelke’s goals line up directly with their own. Nelke & the Legendary Alchemists: Ateliers of the New World’s storyline is a bit of an odd thing this time around as it plays out in a far more linear manner due to the way story progression actually is handled by the ending of days and weeks. Now this is far from a bad thing as the narrative itself is enjoyable on its own but longtime fans of the franchise should be prepared for that. What really does help the game’s story shine also happens to be the characters that appear from throughout the franchise’s history. While the new characters are treated well the real shine comes from seeing so many of everyone’s favorite alchemist’s and fighters in one place. Of course, outside of the core characters of Pamela and Hagel, some of the first characters introduced happen to be characters that Western fans likely won’t recognize as they come from games that were never localized but rather quickly players will begin to gather a massive number of characters spanning across every game in the series. One of the best aspects of the way Gust’s writers happened to handle this crossover is to fully embrace the fact that fans want to see these characters interact with one another. Instead of simply speaking to Nelke or other characters in their series while ignoring everyone else almost all of these characters have chances to talk and interact with one another as you bring them along with your party, fulfill little missions for them, and interact with them during Nelke’s holidays. This creates an incredibly large and highly enjoyable number of scenes that fans of the franchise will just adore and these really help breath some extra life into an already solid enough storyline as fans never quite know who may appear or how each character will interact with one another, making for a great story that fully embraces the fact that it’s a crossover. 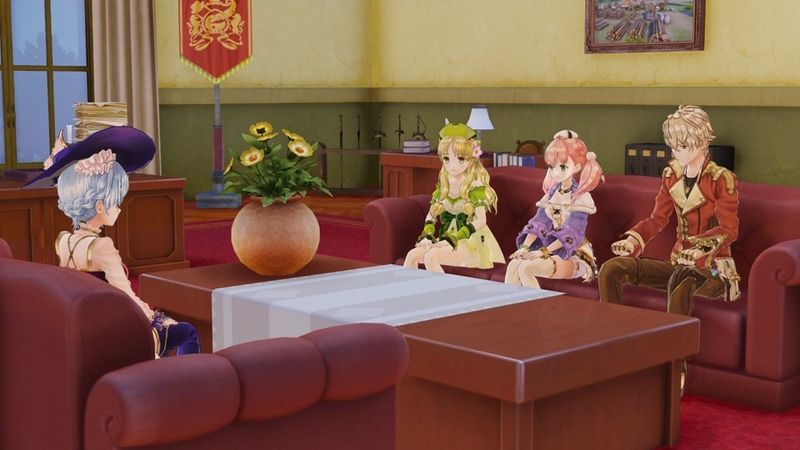 The biggest difference with Nelke & the Legendary Alchemists: Ateliers of the New World happens to be the fact that unlike other games in the franchise, this one happens to be more city building and management than anything else. As the leader of the town of Westwald Nelke is in charge of making sure everyone in the city is happy and that it continues to grow while she pursues her own dreams. 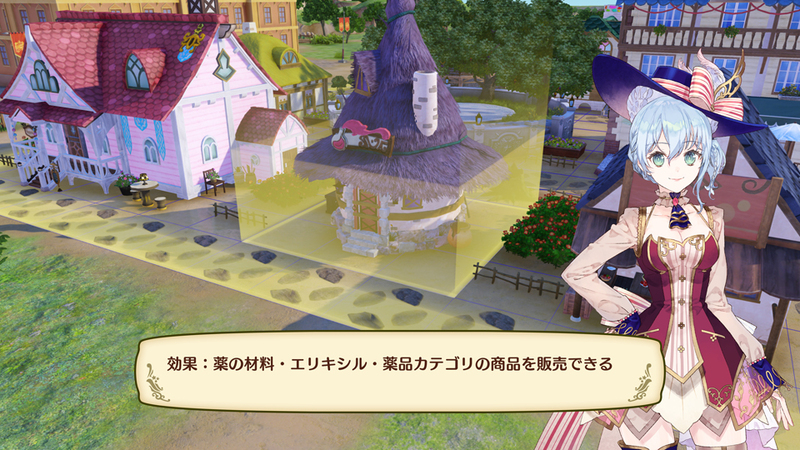 To do this players will find Nelke’s schedule split between weekdays and holidays where weekdays see Nelke having to manage the various aspects of the city, building various facilities such as areas that can produce various resources, ateliers for the numerous alchemists to work at and synthesize items, and of course shops to actually sell various items and earn a profit. Players can also craft various roadways that serve as a connection between all of the buildings as well as various cosmetic boosts to the city to pretty things up a bit and make the city your own. Things do get more complicated as the game progresses as the amount of requests from the residents and other aspects can add up after awhile and the need to properly assign the most skilled resident to fit a specific job does mean there is still some micromanagement involved here, especially when it comes to avoiding a shortage of certain ingredients or products, but this resource management tends to be the only major concern when it comes to making sure the city runs smoothly, making for a game that can feel a bit too simple at times when it comes to managing a city. Holidays are where Nelke, and players, take a more hands-on approach to helping assist the city. Players are given a limited amount of action points for the day and can use these to interact with the various characters introduced at the time, raising their affection levels that unlock new character specific story scenes and possibly boosting their various stats as well, and head out into the wilderness with a team that can be handcrafted to bring along a player’s favorite characters should they desire. While out in the field players do not have direct control over the exploration as the party will simply walk through the path gathering items from harvest points and entering battles with enemies at random though it is possible to have the group speed things up and run, since moving through an area drains the player’s action point total, but a running team is unable to harvest various ingredients along the way. After encountering enemies players will find their five player party entering a fairly simple style of combat where their party and the enemies take part in a turn based battle system. Players can have direct control over what actions Nelke and her friends make but the other alchemists and fighters end up working more as support fighters that will act automatically with a wide array of skills at their disposal. It is interesting to note that while players do have the ability to stack “Drive Points” that can be used to activate special skills, players will rarely need to actually worry about the challenge for these fights. The ease of these battles is even signified by the ability to turn fights into “auto” battles right away and have the computer assume complete control of the fight and, nearly without fail, win with little actual input from the player. 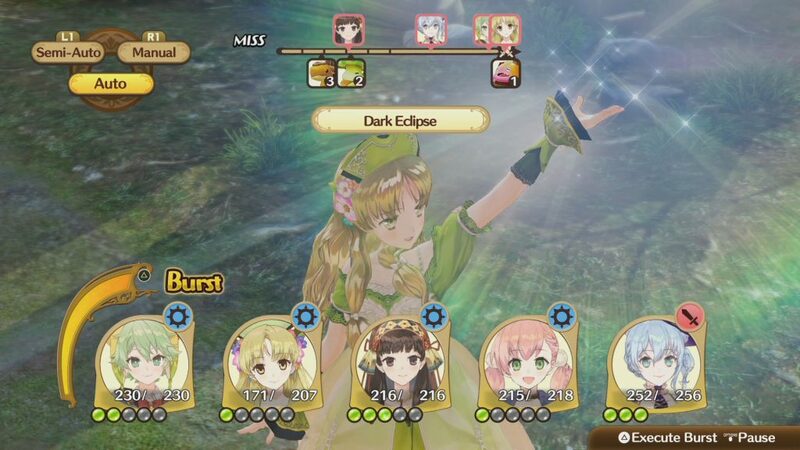 Fans of the Atelier franchise will be happy to hear that while this game does branch out a bit from the norm it still retains the signature art style that everyone has fallen in love with. The character designs continue to be a strong point and seeing some characters that first debuted back on the PlayStation with new modernized designs are a real treat. The designs of the buildings and many of the environments you explore are also quite varied once you progress far enough in the game and players can still expect to see some flashy combat moves despite the toned down fighting mechanics. As far as the voice work goes, the game only features the original Japanese voice track but this works incredibly well partly due to the fact that every returning character appears to have retained their original voice actor. The soundtrack features a satisfying mix of tracks that work well during the management scenes and dialogue sequences with an overall feeling of fitting in perfectly fine with what fans expect from the series. 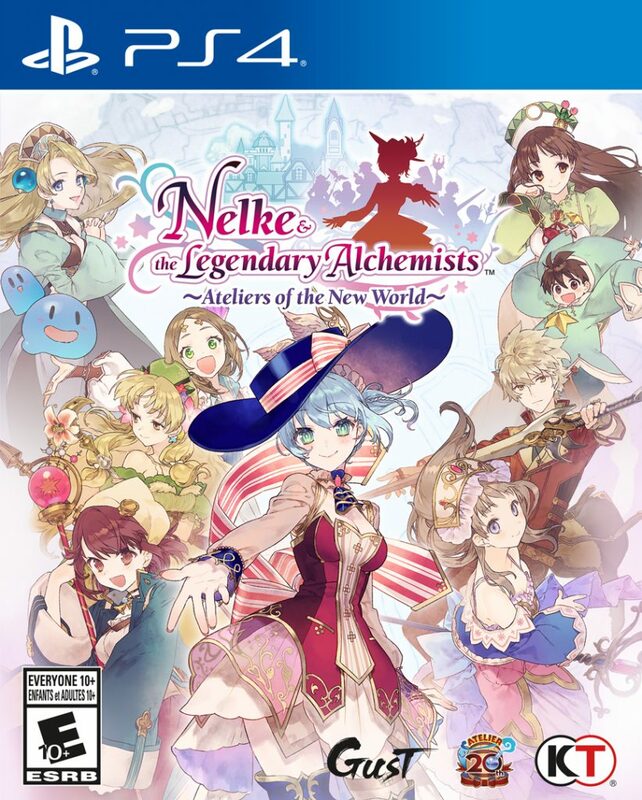 Nelke & the Legendary Alchemists: Ateliers of the New World manages to tell an amazing crossover storyline that fans will appreciate due to how much Gust embraced that aspect of the story but be prepared for a title that ends up feeling a bit too easy for its own good. Managing and building up your city is a rather fun endeavor that grows more challenging at a satisfying pace but it is clear that the focus was spent on that rather than the JRPG style elements that have been merged in, as combat and exploration feel rather anemic in this entry. 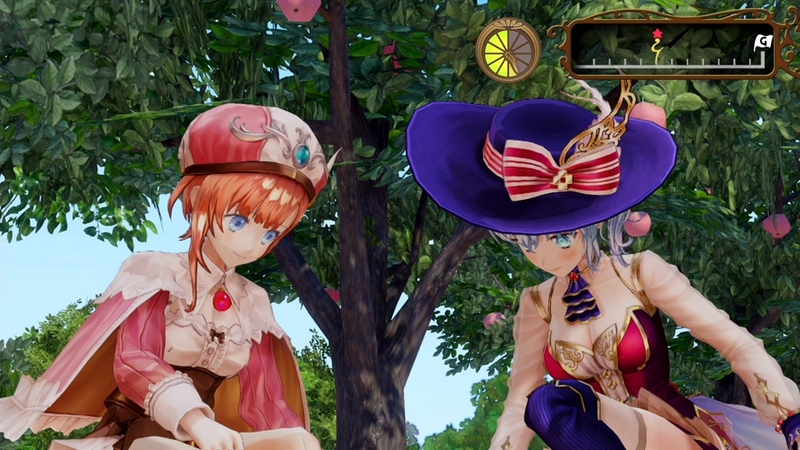 Nelke & the Legendary Alchemists: Ateliers of the New World is a unique crossover that tells a great story that fans of the series will love while trying something a bit different from the norm gameplay wise and only partially succeeded in this regard as the lack of real challenge from the JRPG side of things drags down the solid city management mechanics.